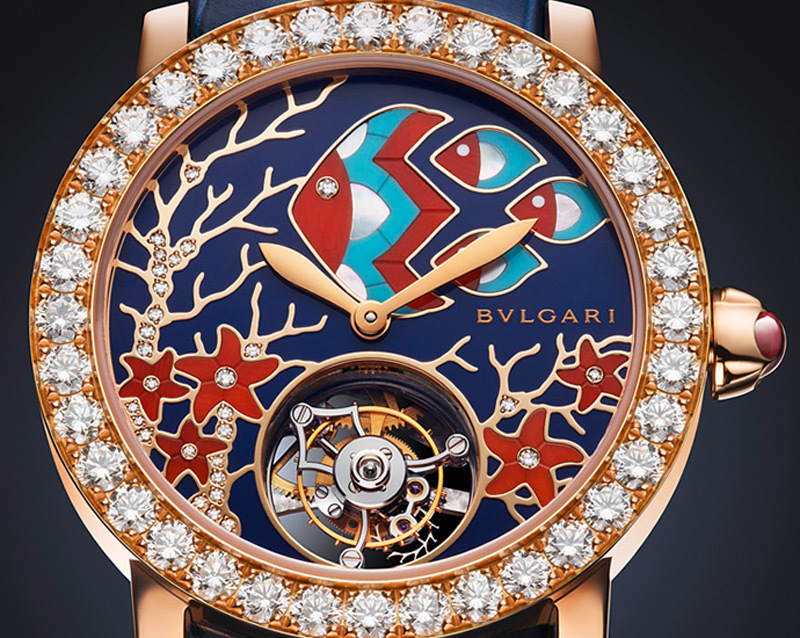 Bvlgari continues to explore the wonders of nature’s gardens. 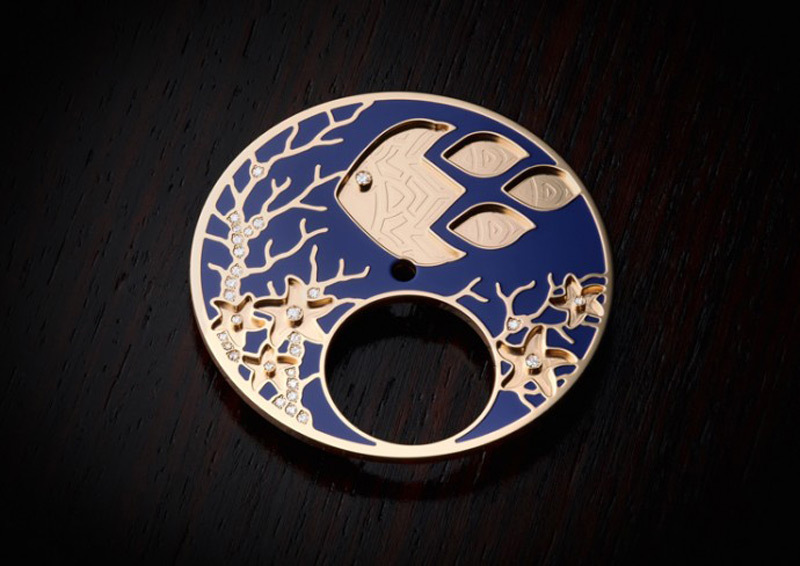 This time by presenting the Il Giardino Marino – new limited edition women’s timepiece inspired by the wonders of marine life. 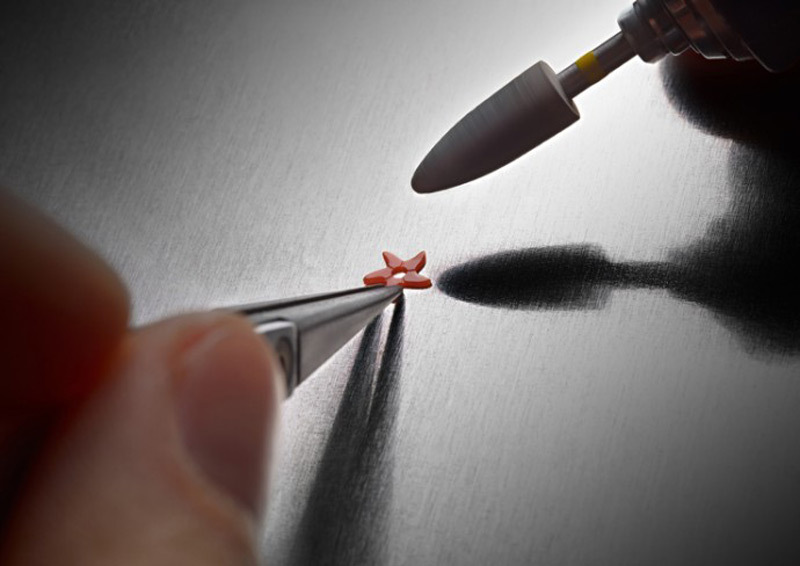 This wristwatch achieves the remarkable feat of combining the art of miniature painting – a much valued technique that dates back to the golden age of the Renaissance artists – with the perfection of haute jewellery, which is the signature of Bvlgari’s master artisans, and the precision of Swiss fine watchmaking. 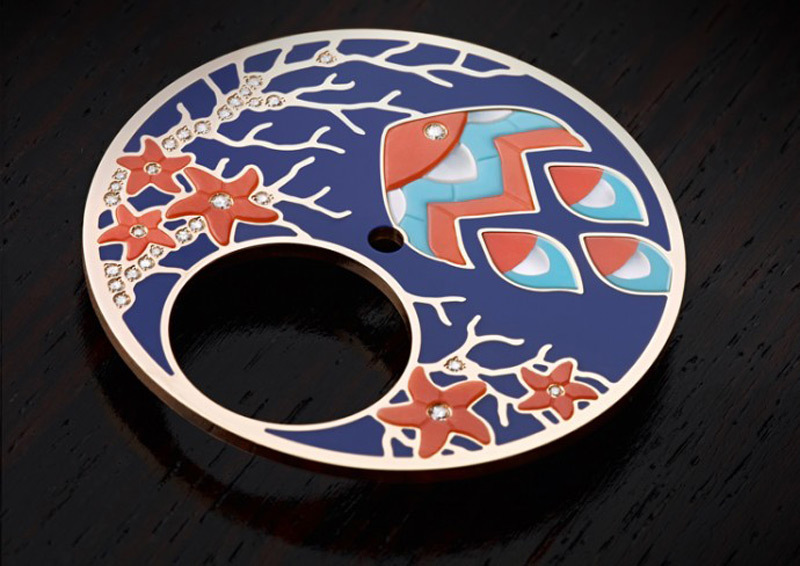 The main features are fishes, sparkling sea stars, coral, mother-of-pearl and 29 brilliant-cut diamonds on the dial all set against a dark blue background evoking the deep ocean. Housed within an 18-karat rose gold 37mm case, available with or without a set of 36 cut diamonds totaling 2.8-karats, the watch’s other notable components include a gold crown set with a rubellite stone, double sapphire crystals and a Swiss automatic Bvlgari in-house caliber BVL 263 movement. 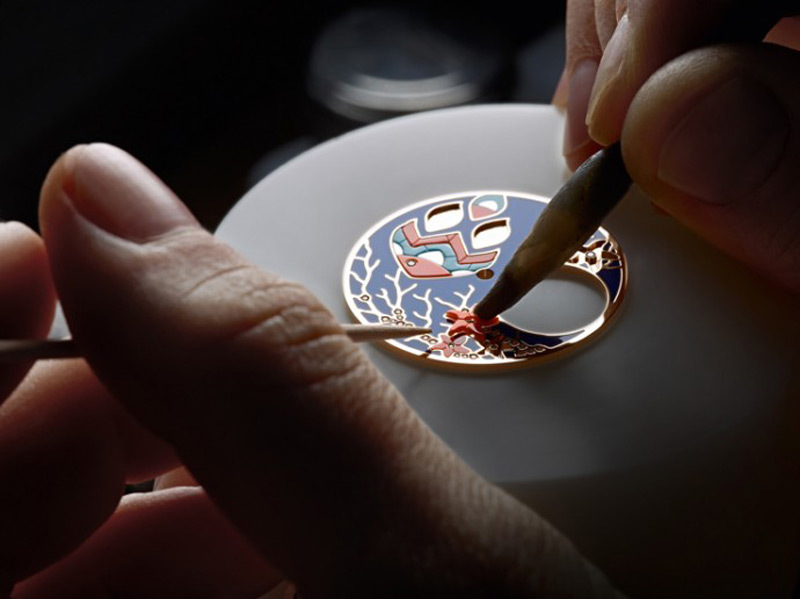 It is made of platinum with a sapphire bridge, polished and hand-finished parts, and a 22-karat gold rotor and features Côtes de Genève decoration and fine circular graining. The watch also comes with a blue alligator leather strap with an 18-karat rose gold pin buckle. 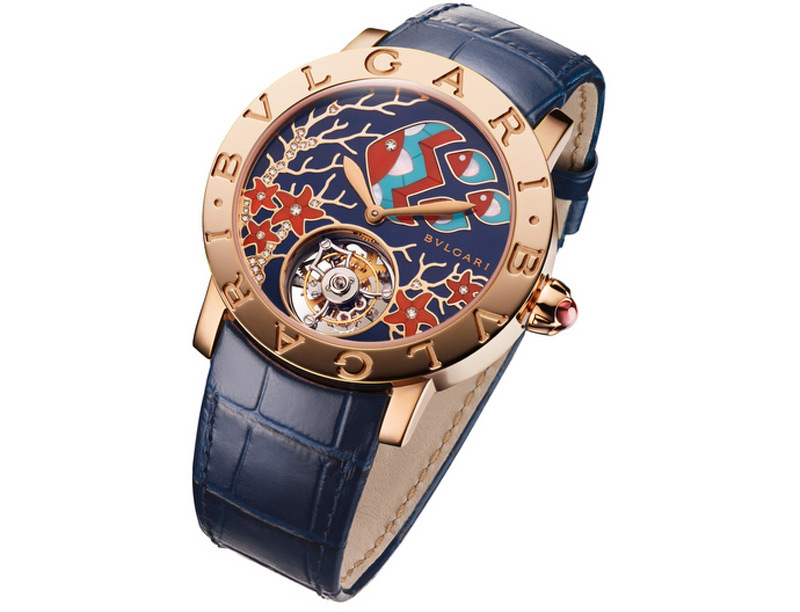 Bvlgari Il Giardino Marino Timepiece is limited to only 100 pieces (50 of each version), rendering the watch a token of true exclusivity.